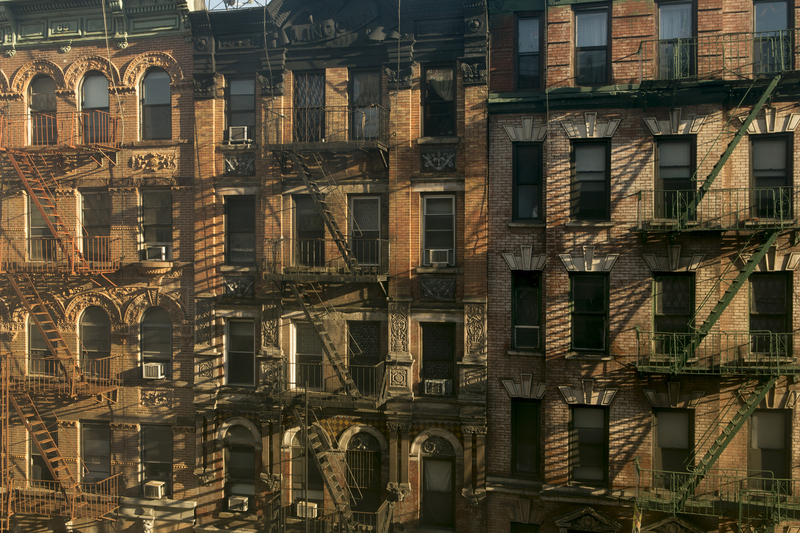 If you’re a renter in New York City, chances are you’ve had to deal with a landlord. Relationships with landlords can vary from good to quirky to downright weird. But what happens when you have a downright bad landlord? Although you don’t need to be BFF with your LL, you should be sure they are fulfilling their obligation to provide a habitable space. If you think you’re dealing with a bad landlord or slumlord, we outline your options for dealing with the situation below. Headlines are rife with reports of the damage slumlords can cause on the city’s economy, their tenants’ lives and the local housing stock. They are notorious for kicking elderly folks out onto the street and letting their properties deteriorate beyond livable conditions in an attempt to oust tenants. How do you decide when your annoying or slightly inattentive landlord turns into a slumlord? One telltale sign is if they consistently fail to make essential repairs or tack on erroneous charges and fees. If your landlord is retaliating against you for not taking a buyout by letting the apartment fall into disrepair, you could be dealing with a slumlord. As with any landlord-tenant issue, it’s always smart to refer back to your lease. You’ll want to make sure you didn’t agree to any policies or fees that are now coming back to bite you. Look for red flags in the lease regarding the landlord’s access to the apartment or any language stating they are not liable for repairs. All landlords have to abide by what’s called a warranty of habitability. This is supposed to protect tenants from living conditions that are unsafe and unsanitary. Violations include failure to provide heat and hot water, vermin, bugs, mold, and a host of other issues. If your landlord is violating any of these basic tenant rights, it may be time to report them. If you do decide to report your landlord, it is important to keep track of all grievances. Document the date of when the incident occurred, the communication that transpired, and any and all failures to make the necessary repairs. Also make sure to keep receipts of rent payments as you may need proof if your landlord tries to say you failed to make rent payments or did not make them on time. It may also be necessary to submit complaints or request for repairs to your landlord via certified mail. That way you’ll have proof and documentation that they were notified about these issues in advance should you choose to report them in the future. Whenever possible, take pictures! Take photos of the condition of your apartment and your receipts of rent payments. While it is easier to work directly with your landlord to get your issues resolved, those efforts may not always be fruitful. If your landlord refuses to make necessary repairs or violates city guidelines there are a few things you can do. Make a report via 311: This is the first step to having your complaint officially documented by the city. Once submitted, you will be given a service request number. This will allow you to check the status of the complaint as it moves through the process. Connect with local tenant rights groups: Need more clarification and legal support regarding what your rights are as a tenant? Consider reaching out to Legal Aid Society, Met Council on Housing, or Make the Road New York. These organizations provide free or low-cost legal service and guidance to tenants dealing with landlord issues. Withhold rent: This option is a bit risky as failure to pay rent could cause your landlord to take you to housing court. If your landlord, however, has consistently violated the warranty of habitability, tenants can withhold rent as a last resort. Take your landlord to housing court: If you’ve tried to resolve the issue through other channels to no avail, it may be time to start a case in housing court (pdf alert!). Through legal action and court order, tenants can mandate their landlord to make repairs, cease harassment or halt eviction proceedings. When deciding to go this route is imperative to have records of all the violations in question. This is where those 311 case numbers come in handy. Renting 101 Excuse Me, But Who Pays the Broker Fee in New York City? Landlord vs Property Management Company: What’s the Difference?